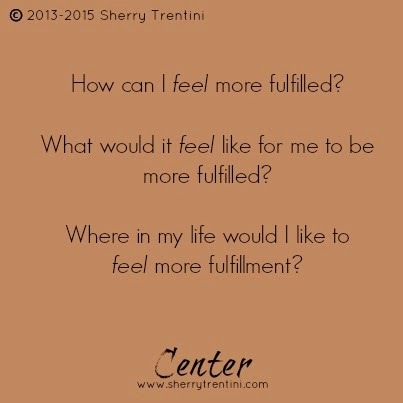 There has been a theme with my coaching clients in the last couple weeks that has had my mind focusing on what fulfillment is? Not just defining the actual word and how it relates to life, but channelling the tactile sense of what being fulfilled feels like. What would it feel like to be able to describe your life using those words? That list not only sounds good but feels good! 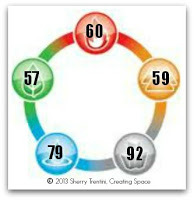 If I had to quantify my personal level of fulfillment in the corresponding life areas of my bagua; where would it hash out? What I learnt through this personal excavation and observation of my present, was that my focus on my fulfillment and/or All In Energy was growing and was being met in some areas but needed attention in others. What a gift this exercise was. I learned that when I checked in on my level of fulfillment around Love and specifically my relationship to Self, it was easy to rate it as “meh”. When I’m not consciously taking care of me then all my relationships are affected. I’m an advocate for Self Love…and I can not pinpoint nor is it important to figure out when exactly I stopped my own practise. Recognizing that I needed to amp up the Love Energy and resume my own practise for myself was paramount. 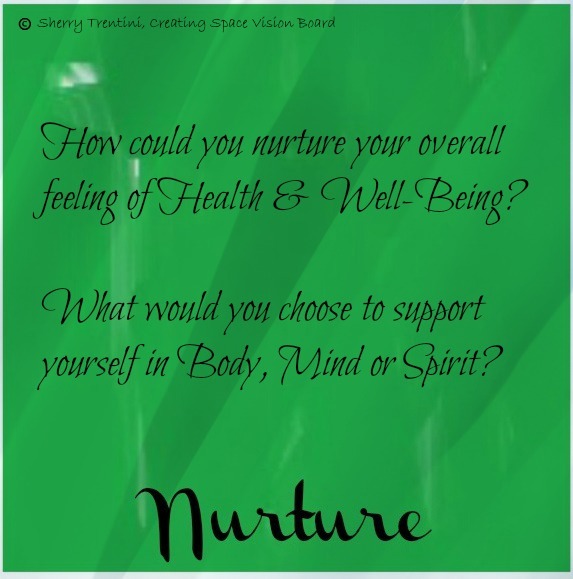 Same goes for Nurture: Body, Mind, and Emotional. 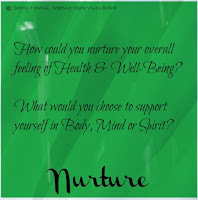 I had become disconnected and have been feeding my body rather than nourishing it, I have not been moving my body as I so love to do, and throughout this not choosing to nurture myself, has me seeking repair. I miss doing bodywork, I miss teaching it, I miss being a student of the body. However much I miss that doesn’t compensate for stopping. As synchronicity would have it, a friend and past client of mine, shared with me an email about an upcoming workshop. It didn’t take any contemplation for me to respond, “Yes I’m IN!”. I chose not to research what we were doing, I chose to come in cold, I just knew it would be good. And oh boy it was! Not only did I get to reconnect with a former teacher of mine, but others I had trained with in the past! Plus had a lovely weekend with the friend who came to the workshop as well. I was absolutely MELTed by the work, but also got back into what my body was telling me, and how best I can serve it. I invite you to MELT too! 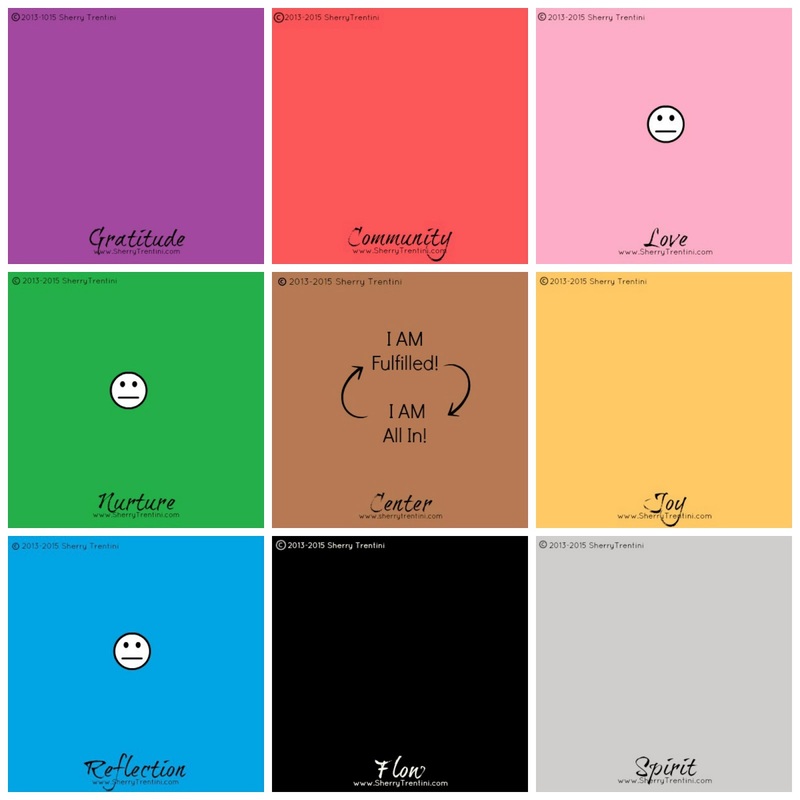 Reflection also scored a “meh”, as I observed how I have some unmet intentions, unrealized goals, and unresolved issues that need forgiveness, peace, love and my attention. Loose ends have a way of lingering, and I have begun the process of asking how best to tie those up. Having a resurgence of energy in the other two areas fuels me to bring closure and peace to that which has been left feeling undone. No matter what, fulfillment comes from within. Recognizing and accepting that, through that simple inquiry, that I can feel more fulfilled, especially in those three life areas and therefore I can attract more fulfillment into my life overall, and moreover want to. 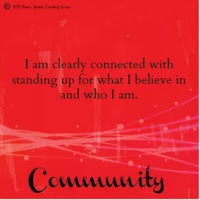 And I’ve also been more conscious about acknowledging the times and experiences in my day which make me feel fulfilled. That feels good! And be open to the answers you receive. P.S. Subscribe to my Email list by clicking HERE, I’d be honoured if you would join me! Is it necessary to balance out my elements? Does everything have to be matchy matchy? The short answer is no, if you are content and feel that all is as it needs to be then hey, keep doing what you are doing. If you are feeling like you would benefit from moving some energy to feel different or more balanced then the answer would be, yes. 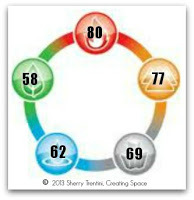 It is not ideal to have equal scores on each of the elements. It would be difficult to manage that and since life is dynamic we need both Yin and Yang elements in order to keep us moving. 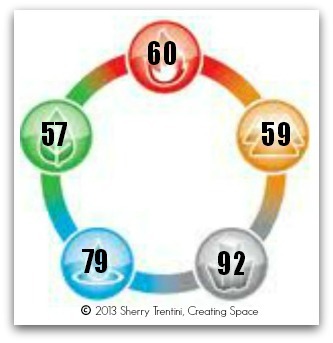 Yang elements are the ones we project outside of us, from the quiz standpoint they are the ones with a score of 72 or greater. Yang is masculine, bright or light, big, busy, high contrast, and open. Yin elements are the inside of us, scores on the pop quiz are less than 72. 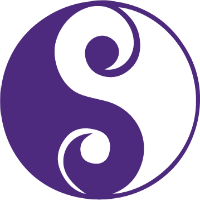 Yin elements are dark, feminine, muted, and softer. We need both for overall balance, as we need the light and the dark; day/night; big/small and so on. Essentially balancing opposites. Choosing to control an element would be desired if the overpowering presence of one of the elements inhibited your ability to nourish another element or energy in your life. Here are my top tips on how to you may be able to balance out the main Yang element. Fire is strong communication, Water is strong connection to Spirit. Fire is connected to speaking words, Water is connected to the sense of hearing. Fire is leading; Water is going with the flow. Top tip to cool your flames: You have something valuable to share and when you talk people listen, however, we can learn more by listening than speaking. Metal is mental and intellectual; Fire is passion and emotion. Metal is focused, quick and sharp; Fire is lively, spark and excitement. Metal is strength and endurance; Fire is warmth and community. Top tip to melt your Metal: Allow your wisdom to be conveyed with clarity and delivered with warmth. The facts may speak for themselves but may be received better if delivered with emotion as well. Wood is intuition and inspiration; Metal is mental and intellectual. Wood is taking root and branching out; Metal is excavated and can be manipulated. Wood is what you see; Metal is what you smell. Top tip to prune the tree(s): Your vision of life is strong, however you may benefit from backing up your intuition with the facts. The facts can help you determine where you can prune your branches in order for the stongest ones to really prosper and for the roots to take better hold. Earth is grounded; Wood is connected to both heaven and earth. Earth is practical and stable; Wood is rooted and flexible. Top tip to your cultivate your forest: Start planting your ideas by getting them out there in the fertile soil, in order for them to start to grow. Let your intuition guide you and trust in your ability to allow yourself to take reasonable risks. Water is movement and depth; Earth is stability. Water is the tapping into spirit; Earth is grounded in here and now. Water is synchronicity; Earth is accountability. Top tip to get more earthy: Too much water can make you feel overwhelmed and you may benefit from stepping on firm ground in order to take stock. Connect physically, meditate, stabilize yourself by taking a stand, choosing to process all the floating “stuff” that is washing over you. Top Tip for all the elements: Be Gentle with Yourself as you experiment with finding your own balance! The Children and Creativity Gua is the home of Metal and is associated with water, Lakes specifically. Metal is is the thinking, the intellectual element. Metaphorically speaking you have a mind like a steel trap. You are focused, quick witted and razor sharp. Determination along with strength and endurance would potentially be ways to describe you. Metal is excavated from the earth, and the large gap between your earth score and metal depicts that. This element can be shaped to our liking, as in using metal for jewellery or building skyscrapers. It is both strong and can be malleable. When we have too much metal in us it can also be portrayed at times as uncompromising or an inability to change course even when it makes sense to do so. The razor sharp mind may also be interpreted as having a sharp tongue. Yang Water is the connection to Spirit and Spirituality. Your metal thinking may be a high source of creativity, which brings Joy to yourself and others. Water is tapping into your spirit or going with your flow. Metal is a nourishing cycle to water, in that metal holds water. 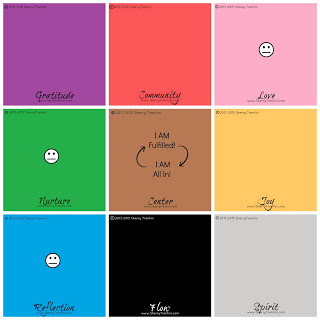 These elements are Yang elements and are what we show to the world. To control Metal the addition of Fire is necessary. Fire controls metal since it melts the element. Fire is our communication to our community. Fire is our passion and emotion, it is leadership, it is connecting. Absorbing and accumulating information comes easily and it shows you are one to go with the flow. I would invite you to consider sharing your wisdom and creativity in teaching another or a group of others. Stoke the fire within by communicating what you know. You have a strong sense of connection and synchronicity and may benefit from tending the wood element to nurture your own ideas by sharing what brings you Joy. 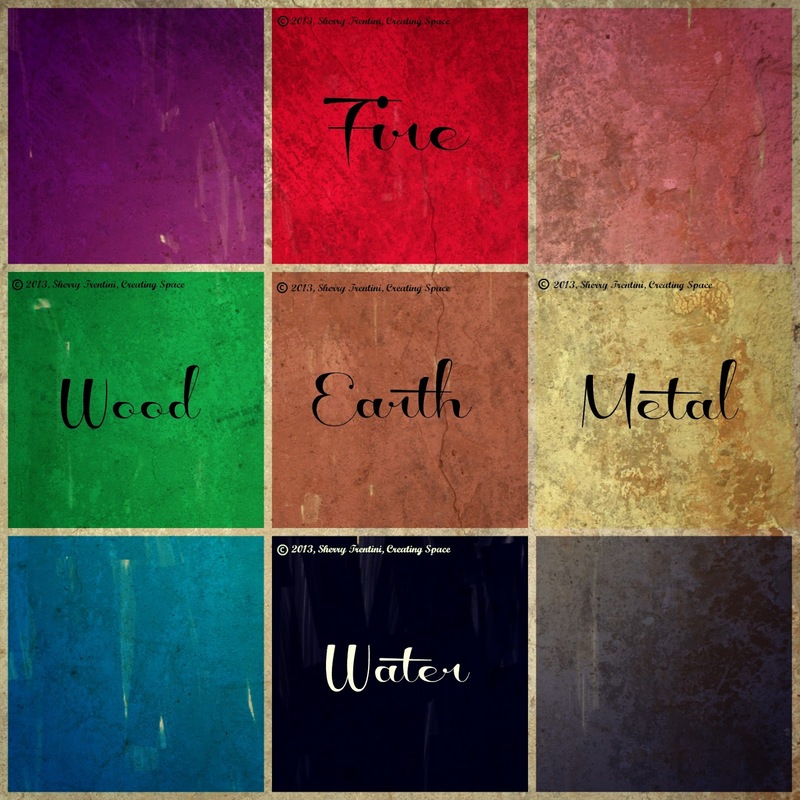 Wood, Fire and Earth are yin elements. Yin is the inner details of ourselves. Allowing the water vibe in your life to nourish the ideas you have to branch out. Fire needs wood to burn. Perhaps there are things you are “thinking” about and not doing. What would it feel like to grow those ideas (wood), and tell others about what you are thinking (fire), and connecting to your ground (earth) to take action on your ideas? I would invite you to think about how it wood feel to put yourself out there rather than think about it? 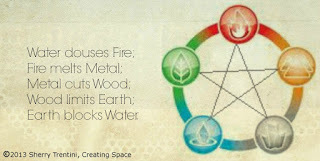 Fire is the dominant element in this assessment, followed by Earth. You are a connector and communicator; you are passionate about what you say and do. You have a strong connection to your ecosystems: family, friends, colleagues etc. A healthy amount of fire is nourishing, lively and adds excitement. Your personal warmth draws people to you and you make people feel wrapped in warmth as well. Earth is the element of the physical and tangible. 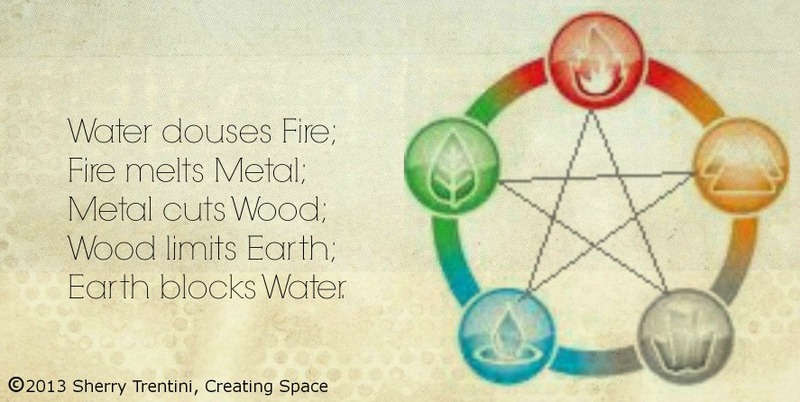 Fire burns wood which feeds the Earth and the numbers show a nourishing cycle. 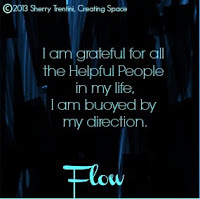 That feeling of being Present, Grounded and connected is important to you and you seek ways to cultivate it in your life. You take action and are accountable for your words and actions. 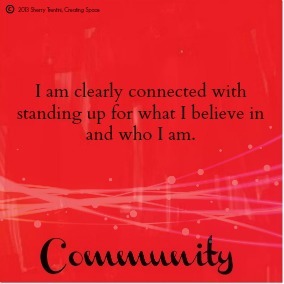 These two elements together bring to mind: You stand up for what you believe in. 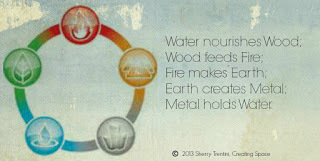 The yin/inner elements are Metal, Water and Wood. Metal is connected to the Children and Creativity Gua. It is the home of Joy! Having fun, being creative, colorful bubbles up from deep within you. Laughter is an expression of this joy. This element is also the thinking part of you, the intellectual. We draw metal from the earth and can mold into whatever we choose. Again an expression of your creativity. Water is going with the flow of life and we use water to control Fire when it is dominant. There is an imbalance between the two elements in the assessment and that may be present in feeling stuck, going against the flow, or not feeling the flow you want. There may be lots of thinking going on and you may be keeping this to yourself. 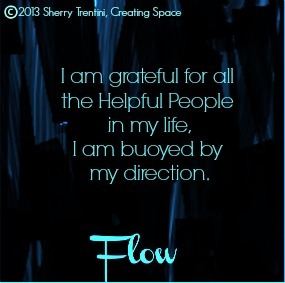 Not seeking out Helpful People, literally or energetically. I invite you to consider where the idea of “diving in” or creating a wave for yourself in order to remove the blockages of your flow. Wood is required to fuel the Fire. The current assessment would suggest that you may be at the beginning of something. That being open-minded, being open to trust and accept guidance may be in your life presently. I invite you to nurture the seeds of your knowledge and wisdom, and trust in the process. The fifth element in Feng Shui is Metal. 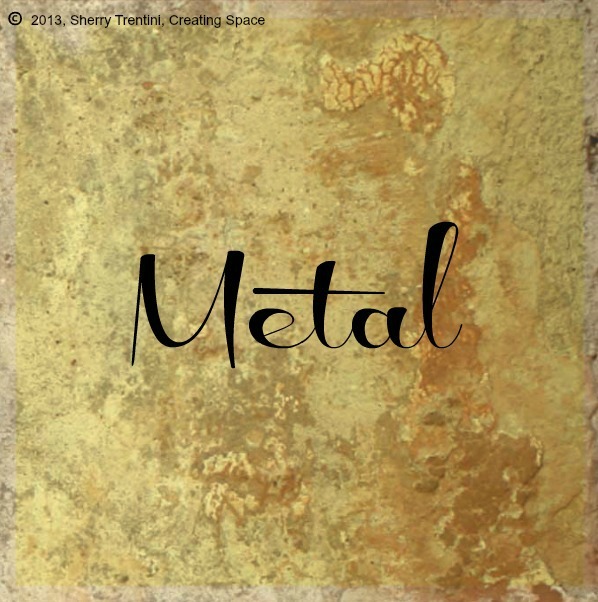 Metal embodies the intellect and the mental aspect in our life. It can be defined as our ability to focus, be quick, be determined, be sharp, clear communication and deep intellectual clarity. Metaphors such as “mind like a steel trap” and “razor sharp mind” convey this definition. The material itself is can be noted as our human signature, in that we take it from the earth and manipulate it into various forms. Metal can be dramatic and strong, think sculpture, jewellery and buildings. And can be the epitome of strength and endurance, think granite and marble. unable to stick to your own integrity. Metal cuts wood; Metal holds water; Metal consumes earth. To lessen Metal you can add Fire as it melts metal. 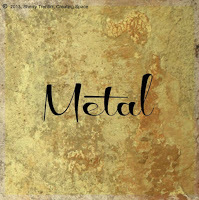 Metal as a structural commodity in our life is, like all of the other elements, needing balance. 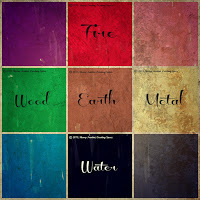 Out of Earth, Wood, Fire, Water and Metal. 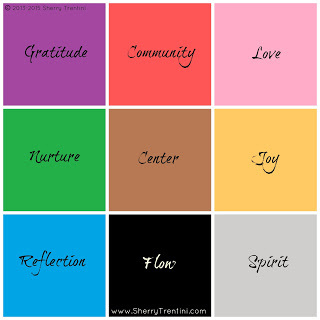 How would you number these in order from greatest element in your life to least in your life? Which of these elements would you like to nourish? Which of these would you like to control?